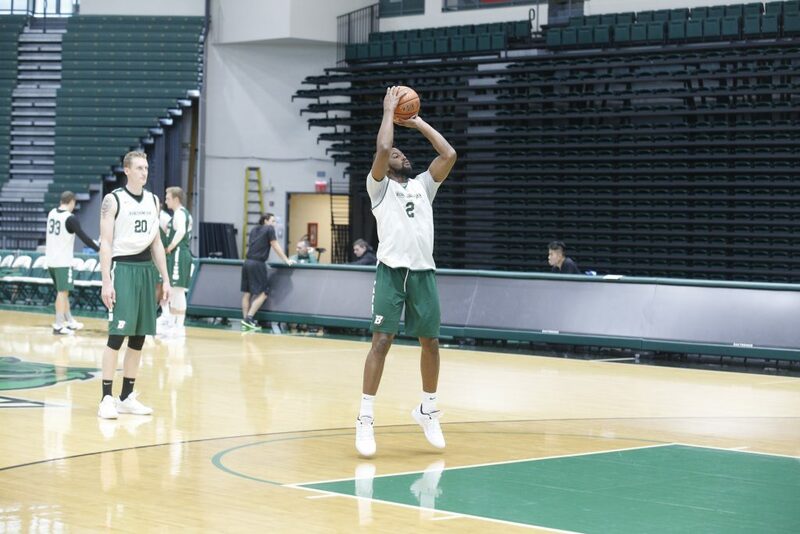 This season, the Binghamton basketball team will see eight new players join its roster. Many of these newcomers are, unsurprisingly, freshmen. However, these young additions, are being joined by one college hoops veteran. Chancellor Barnard, a graduate transfer from Loyola (MD), is joining the Bearcats roster this year as a forward. At six-foot-four-inches, 200 pounds, Barnard is an imposing force on the hardwood. During his three seasons playing for the Greyhounds, Barnard played a total of 91 games. He shot 52 percent over the course of his career and averaged 4.7 points and 3.2 rebounds a game. He scored a career-high 17 points on two separate occasions, once against Boston University and the other against Fairfield. Although he competed in the Patriot League up until this point, Barnard is no stranger to America East rivals. He certainly does have the experience to back up this claim. As a junior during the 2016-17 season, Barnard played in all 33 games. He also started in 22 games as a sophomore, when he averaged 6.4 points and 3.5 boards over the season. He even led the Greyhounds in blocks during the 2014-15 season as a freshman. Prior to his collegiate career, Barnard made waves as an honor-roll student-athlete at Glenelg Country Day School in Ellicott City, Maryland. As a senior during the 2013-14 season, Barnard averaged 21.6 points, 6.7 rebounds and 1.6 blocked shots per game. He also scored double-digits in all but one of his games that year, leading Howard County in points per game and total points scored with 562 points during that season. On the Bearcats, Barnard will be taking on a slightly different role than he has done in the past. Previously, the veteran had rarely been tasked with guarding the team’s opposing center. In this coming season, Barnard will be spending more time guarding the five. The combination of playing in a more athletic conference and defending bigger positions will present a challenge for the undersized big, but his intelligence, agility and leaping ability provide a modern-day counter when matched up with more traditional big men. Barnard talked about this new role and other changes he is anticipating playing for Binghamton. With an almost entirely new roster composed of many young players, Barnard’s years of experience playing basketball at such a high level will enable him to emerge as an instant leader for the Binghamton team. The veteran forward will certainly be looked up to by his younger teammates as a role model to emulate, as they certainly seem eager to replicate his success on the court. Barnard and guard J.C. Show are the only graduate students on the 2018-19 roster. Looking ahead to the coming season, Barnard will certainly be a player to watch.